The fall season is all fun and games until lawn diseases come out to play. The changing of seasons always puts even the most well-kept lawn at risk for a lawn disease. Weed Pro has you covered with the top lawn diseases to look out for this fall. What it is: Also known as cleavers, it looks like crabgrass. It’s “wagon wheel” shape and ability to produce thousands of seeds makes it difficult to get rid of. The seeds also spread by wind, so that makes it difficult to control. Areas it targets: Lawns in the late summer when warm days are followed by cool evenings. What you can do: You can control this weed easily with a post-emergent and prevent with a pre-emergent. In addition, simple things like aeration and a good fertilizer program can prevent this weed. Learn more in this article. What it is: This disease causes small, yellow spots on individual grass blades and eventually causes the whole grass blade to turn white. 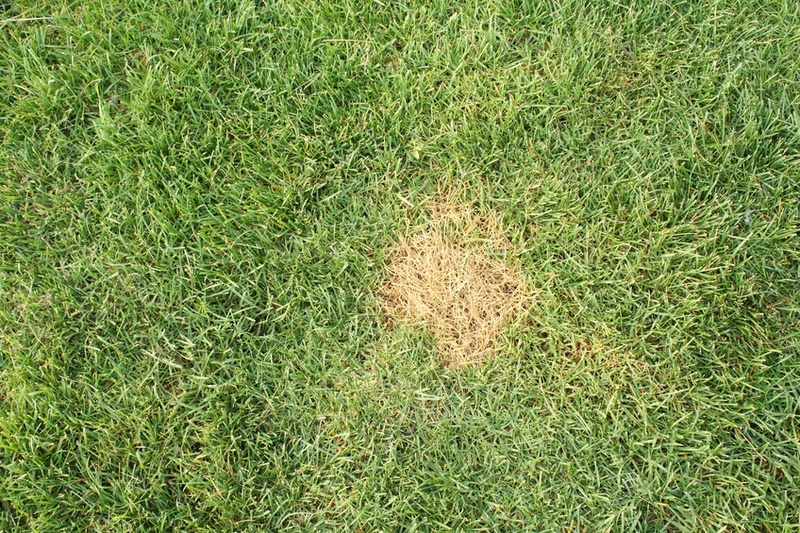 Areas it targets: This fungus usually infects bluegrass lawns in the Cleveland and Columbus, Ohio areas. It is most likely to show up anytime between late spring and late fall, growing after a stretch of cool, moist weather. Dollar spot flourishes in 60-85 degree Fahrenheit daytime temperatures. What you can do: Like any lawn disease it is best to use preventive measures, but this disease can be controlled with fungicides. For more information on this lawn disease, refer to this article. What it is: This is a disease that attacks the blades of the grass and causes orange-brown specks on your lawn. Areas it targets: The lawns that are usually affects lawn that are low on nitrogen and that are under stress. It likes to appear around this time of year when the warm days are followed by cool nights. What you can do: You can help prevent this lawn by aerating your lawn, and avoiding watering at night. Other ways to prevent this disease can be found by clicking here. Gwyn is Weed Pro's Inbound and Social Media Intern.